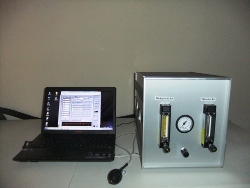 These easy-to-use, computerized, self-administered instruments are employed by both scientists and physicans to assess olfactory function and acuity. They are designed to assess an individual’s ability to identify and discriminate between odors, and to measure their odor detection threshold and odor memory. The automated interface offers a distinct advantage over older manual legacy systems by reducing administrator time and producing standard reports and graphs for immediate reference. 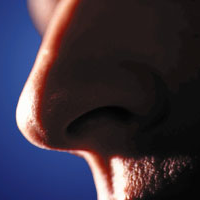 The odor threshold test measures a person’s ability to detect an odor. Thirteen concentrations of an industry standard odorant are used. The participant smells two samples, one blank and one with an odorant. They are then asked to determine which of the two samples is the stronger. The concentrations are decreased or increased depending on whether the stimulus is identified correctly. Forty different common odors are presented, one at a time, and the participant is asked to identify them. The participant selects the correct odorant from one of four choices displayed on a computer screen, e.g. cherry, lemon, leather or licorice. 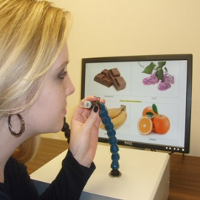 The odor memory test assesses a person’s ability to remember odors that were previously presented. The test begins with the presentation of 10 odors followed by a 10-minute break. Next, 20 odors containing the 10 original and 10 new odors are presented. After each odor presentation, the participant is asked to identify the odor and to determine if the odor is one of the original odors or a new odor. 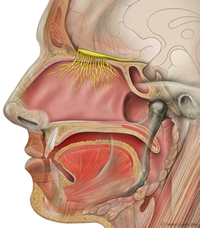 This provides measures of both semantic and episodic odor memory. The OLFACT TRAINER™ does not assess olfactory function performance. Instead, it is used to facilitate learning the odiferous properties of a compound. Odorant stimuli are presented and the student must identify the smell. 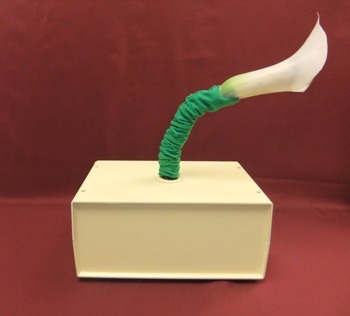 Initially the task is very easy but becomes increasingly more difficult until the student must identify the smell without the use of any cues or prompts. The first training protocol developed is for learning wine aromas, but it can be adapted for any set of odorants. SCENT GENIUS™ is a program designed to aid students in learning the different notes (top, middle, bottom) of perfumes and allows them to compose their own scent by combining one from each cateogry (Top Notes - Bergamot, pear, chocoloate; Middle Notes - roe, orange, flowers, lavender; Bottom Notes - cedarwood, vanilla, musk.) The student can easily and quick compare a large number of differnt scents.